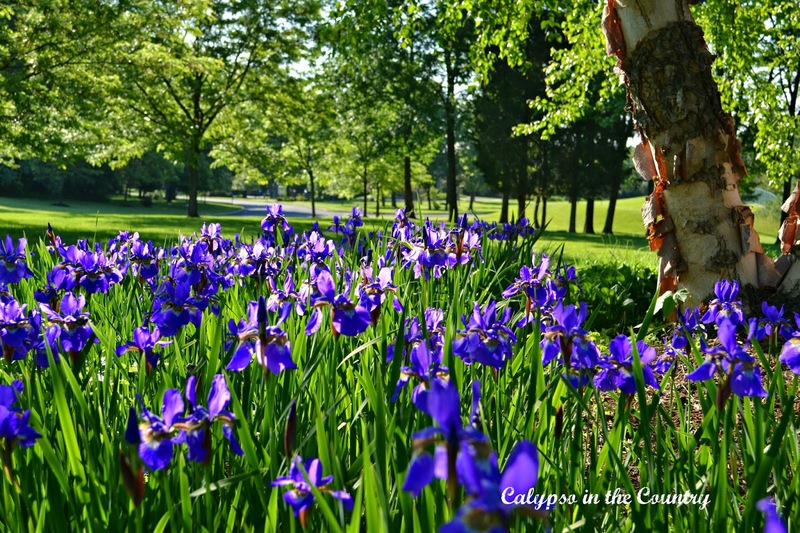 to capture the beauty of my irises in full bloom! I am finally learning to use the new camera I bought last year!! but I think the higher quality camera also had something to do with it! If only with these flowers would stick around a little longer! We have about 2 weeks to enjoy them each year! on this beautiful first day of June! How are you spending your first day of June? What gorgeous photographs from both cameras. 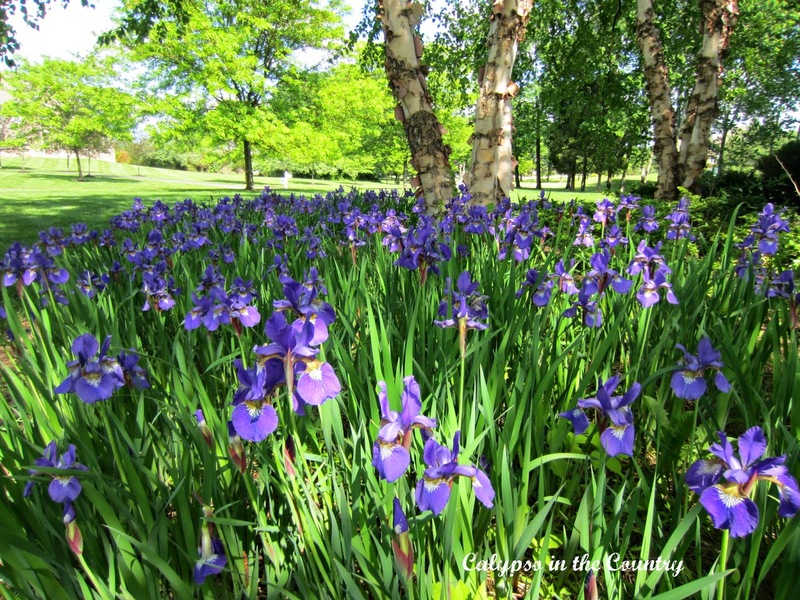 Your irises are stunning against all that lush green landscape. They are gorgeous Shelley! Thanks for sharing dear! Your irises are stunning, as are the pictures with your new camera. My irises just started blooming yesterday and you are right…they will be gone too fast. Happy June! 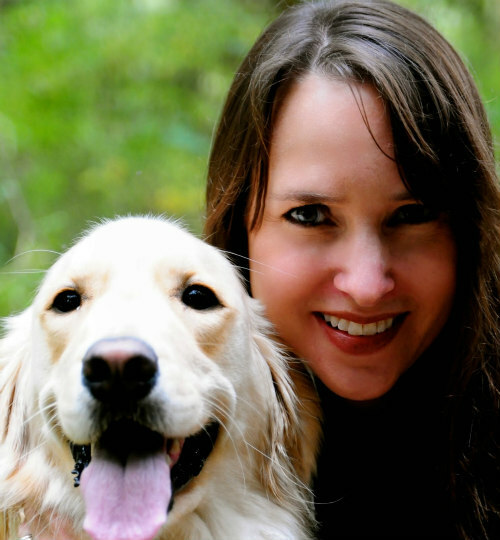 Wow, I <3 Iris and your pretty pictures! So beautiful, your irises and the way you captured their beauty. Love to see first thing in the morning, thanks! Your irises are gorgeous! 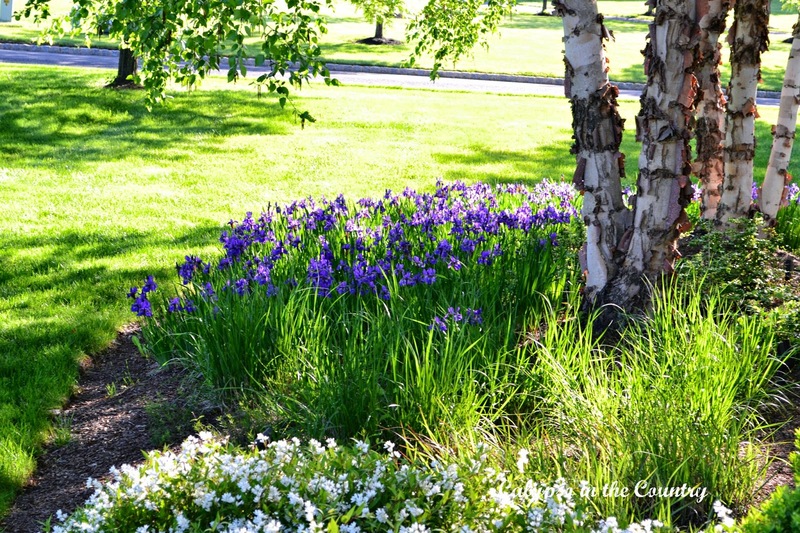 Love the color of them, and love the huge collection, making a real impact on the landscape! 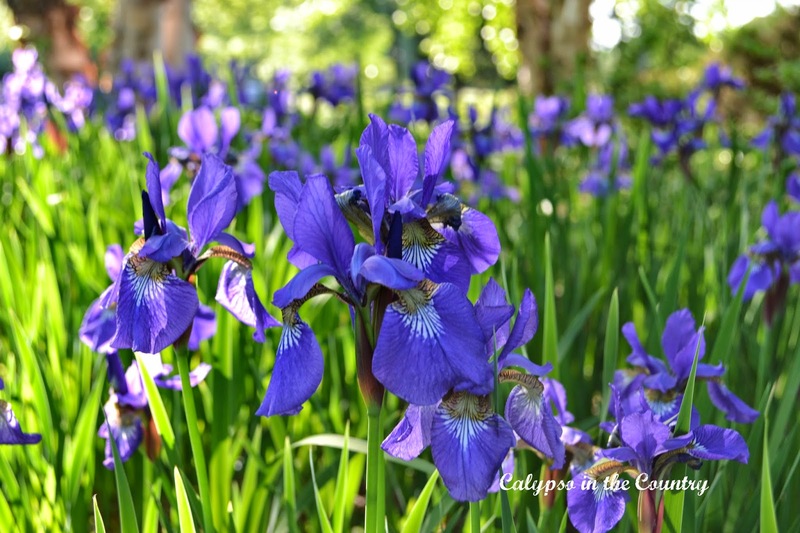 You are so lucky to have your own irises! 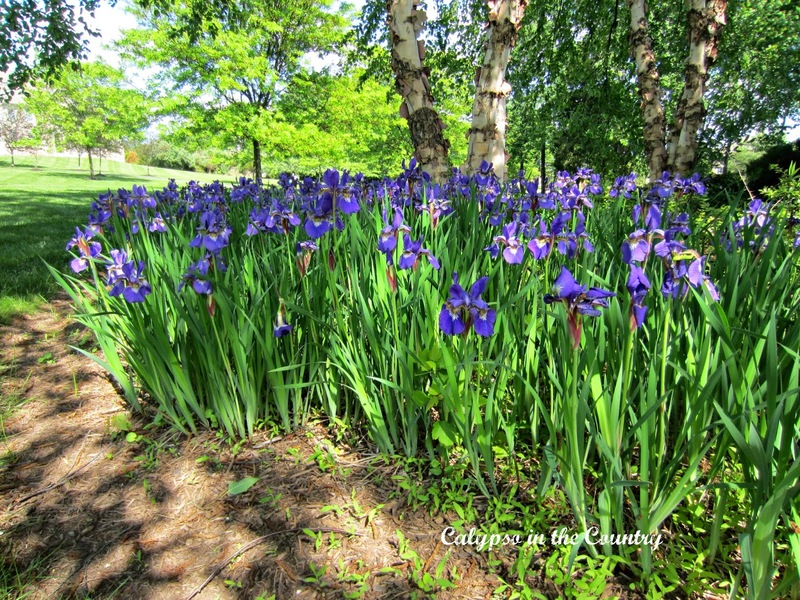 I just posted about the iris gardens in Montclair and then I saw your post.Your irises are so lovely! Nice shots with your new camera. Just gorgeous! We missed our iris blooms. We were gone for two weeks and only one bloom was left when we got home last night. Of course, we only have a few plants. I would love to have a swath of them like you have! 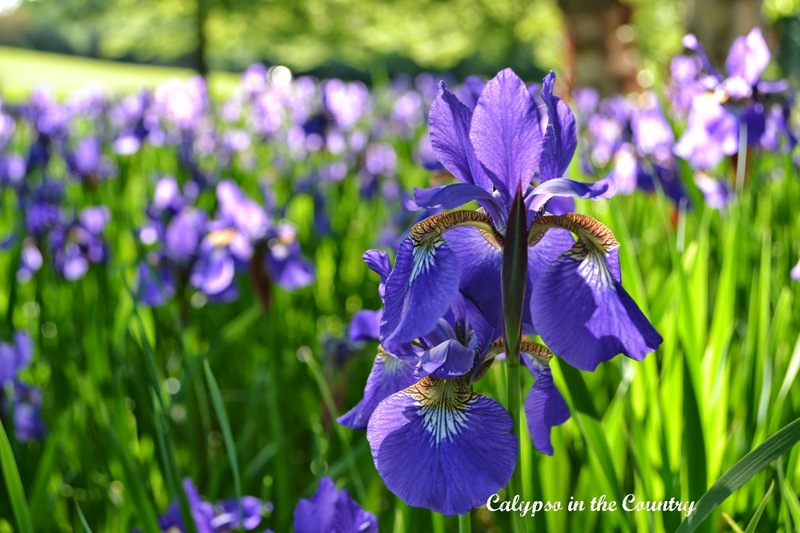 Your irises are absolutely gorgeous! I love the way planting in masses really makes a statement! Oh we must talk Iris. I have them too but they sure do not look like this. I am very curious as to what type of soil you have. Also what type are these? They look like bearded iris but maybe smaller blooms? They are a showstopper for sure and you definitely have a green thumb for them. I love that you have beds. I know what you mean about short lived but you have captured them beautifully now with your camera to enjoy forever more. Great shots! Truly purple perfection! Thank you so much for linking up to the Garden Party. Your garden is completely enchanting! Oh my goodness! Your iris patch is gorgeous.